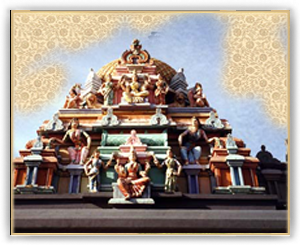 This community temple consists of only a few rooms dedicated to a handful of gods. The people of the city themselves funded the construction of this temple, and so it is not too large. The brahmins are happy that the people are showing such religious responsibility. Definately, good things will come to these people.